Want to lose weight fast? Who doesn’t!? Clients, friends, and acquaintances always want to know how to get on the success train and start dropping some pounds. Unfortunately (for some), my methods don’t require gizmos, gadgets, or a magic potion made in a bathtub somewhere. In fact, losing body fat is not the all-out war that most people make it out to be. You don’t need to starve yourself and put a padlock on the fridge to get the body you want. Here’s the one thing people miss the boat with when trying to lose weight: insulin sensitivity. Think of insulin like a reliable cab company. If you’re courteous to the driver, make great conversation, and tip her well, then you’ll have pleasant commutes. Get rude and cheap with him, and he’ll make your life miserable. 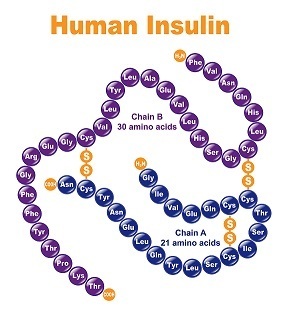 Insulin functions like the cab driver; it’s a hormone that sends the food you eat to the place where it should get stored. Once your insulin starts to get wacky – like a cab driver who’s late to her first customer and thus affecting her whole day – food doesn’t get stored where it should. Instead of protein going to a muscle it gets stored as fat. When a carb should go stowed away in your liver, it gets stored as – you guessed it – fat. As a result, your waistline goes up and your energy levels plummet to the ground. Insulin becomes less sensitive to food the more we abuse it. How might we abuse it, you ask? Well, for one, processed foods can mess it up. If your grocery shopping consists of raiding a convenience store, you might have some trouble. Eating out more than twice a week can also cause issues. You can also run into problems by eating the wrong carbs at the wrong time. Irregular sleep patterns and chronic stress levels do harm too. Missing out on minerals like magnesium won’t help either. You’re probably thinking ‘that’s great and all, but how do I fix this “cab driver problem?”‘ Well, one thing you can do is start getting more healthy fats in your diet via fish oil. The health benefits of fish oil are numerous, and it can make your commute much better by giving that cab a tune up. Just how powerful is fish oil? In an interesting study, subjects who took fish oil (versus those who got their fat through olive oil) managed to increase their strength while fighting off fatigue during exercise (1). But what about weight loss? Another study found that 4 grams of fish oil a day helped increase metabolic rate while decreasing fat mass (2). Researchers note that subjects had a decrease in their cortisol levels – which is a hormone associated with stress that can cause weight gain. What’s the reason for this? The healthy fats in fish oil help repair our cells and make the transfer of energy between them much more efficient. There’s simply less room for error and food goes where it should. Getting back to our cab analogy, it’s basically like the cab showing up on time, the driver opening the rear door for you, and traffic being crystal clear. Fish oil isn’t the only way to help fix insulin sensitivity, but it’s a great start. You could also focus on eating protein at each meal, hydrating with filtered water, and consistently going to bed at a reasonable time. You’ll find that the road to losing weight isn’t cluttered with home workout DVDs and insane diets, but rather a smart and simple approach. Good luck!